Can be used for indoor or outdoor applications that require corrosion protection from chemicals and water. 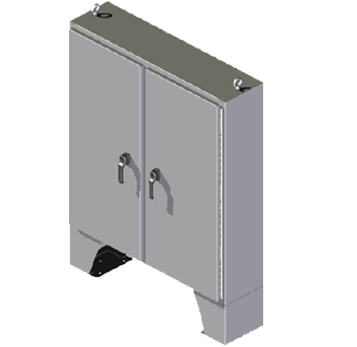 Steeline “SM-Series” Floor Mount Enclosures provide protection where equipment is located in a very wet environment, or outside and exposed to water or weathering. 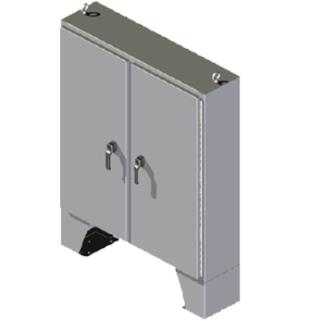 Use “SM-Series” Floor Mount enclosures in applications that are either indoor or outdoor and that are frequently exposed to liquids or contaminants. 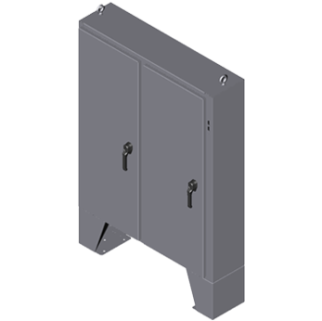 The “SM-Series” Floor Mount Enclosoure was made with a #4, stainless steel brushed finish, carbon Steel housing and doors (304-316L), ANSI 61 gray powder paint, a powder paint over phosphate surface, and optional mounting panel.